Priority number one for the “finish the master bedroom project” was to find proper nightstands. I searched high and low for something that I loved + suited the space + wasn’t a gazillion dollars and I finally determined that it didn’t exist. 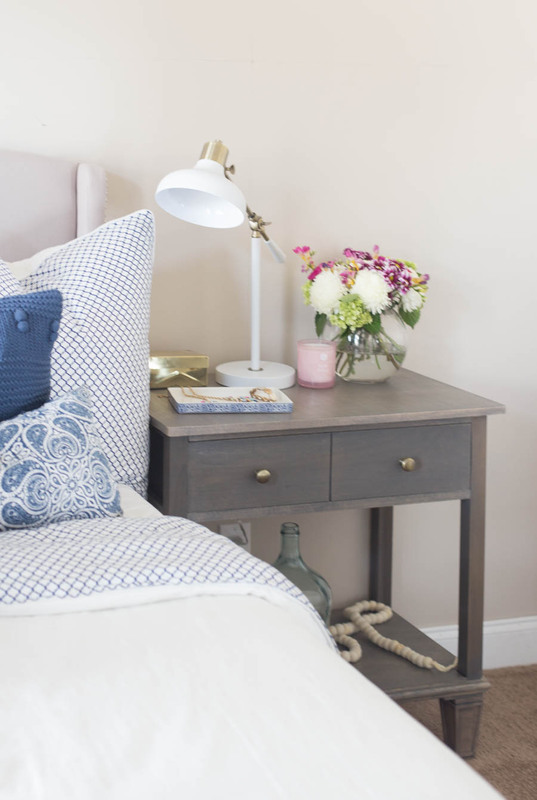 I fell in love with the Sausalito bedside table from Pottery Barn early in my search and could never get it out of my head. The $499 price tag instantly made it out of reach. 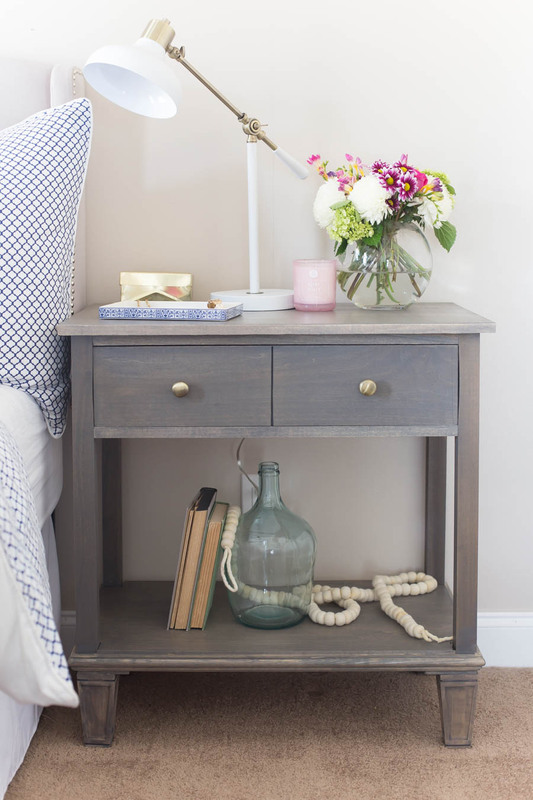 My sweet friend Jen from The House of Wood swooped in and saved the day by whipping up some plans for me that made building these DIY bedside tables so easy that I still can’t believe we pulled it off! The first step of our nightstand build was collecting the materials. We ended up purchasing the lumber from The Home Depot. I really wanted to try using a hard wood like maple but I couldn’t find a lumberyard locally that had everything in stock. 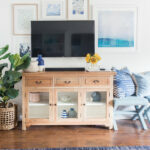 Also, this was our first “real” piece of furniture that we’ve built so I wanted to be sure we could do it before spending on the “good stuff.” We ended up using Poplar which ended up being great to build with but not the easiest to finish. Next piece we build I’m totally going for the maple! I reached out to the wonderful folks at Osborne Wood for the furniture feet. 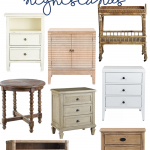 They have such a great selection and the Mission Sofa Leg was the perfect choice for our nightstands. We took our cut list to The Home Depot and had them cut the large pieces for us and then we cut the smaller, more precise cuts using the Table Saw from Ryobi. I wanted a beachy, weathered look similar to the PB version. Since the poplar wood has a bit of a green tinge, I was really apprehensive about how it would stain. 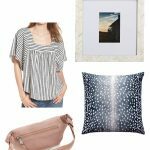 Instead of attempting to mix stains and get the PB look, I grabbed my favorite gray stain and I’m so glad I did. 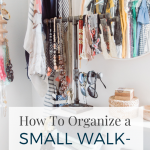 We followed Jen’s plans to a tee and both nightstands ended up taking severals days working on them several hours per day. Matt ended up building one nightstand completely before beginning on the next one. He mentioned that next time he would try to work on them at the same time to save time. These nightstands totally changed the look and feel of our room all on their own I can’t wait to add the other elements that I’ve been planning. So..:what stain did you use? I have literally looked everywhere for this stain or a similar version. do you have a link you could provide? I am only finding a classic gray made by minwax. Hi Jessica, it’s my fault – it’s Minwax Classic Gray here: http://amzn.to/2wiWFo5 – Rustoleum makes a Weathered Gray that is beautiful as well. 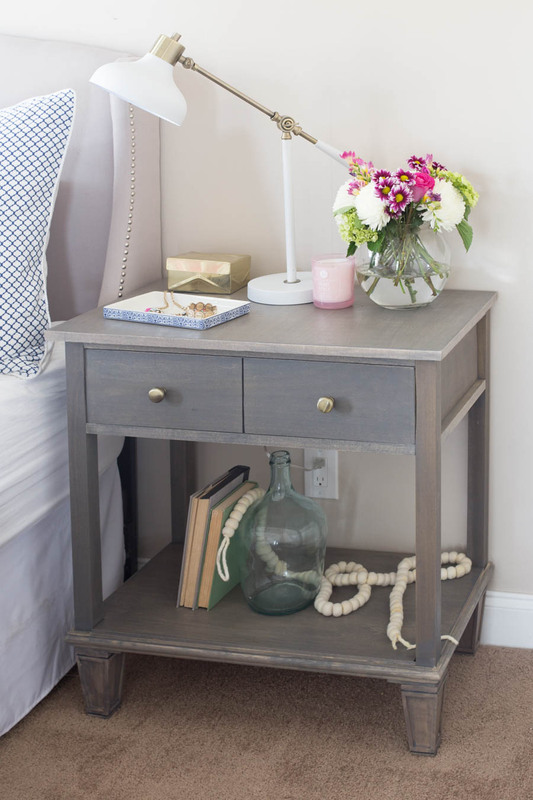 But this project we did the classic gray – another option for a gray stain is what we did with our console table: http://www.makinghomebase.com/beachy-console-table-diy-friday/ we did a combo of stains. Shoot me an email if you have any questions! GORGEOUS!!!!!!! And yes, I need that many exclamation points! I have been itching to het building, since my kids have been progressively buying me items off my tool wish list over the last couple years! I have been making myself finish all ‘work in progress’ projects, before I start anything new, which also clears space in my garage, LOL! Great job, guys!!!! I am totally going over to H.O.W. next for these awesome plans! JEN BUILDS AMAZING STUFF!! Thanks for sharing! Jen does build amazing stuff and what is even better is that she shares her brilliance with all of us so we can build awesome stuff too! Enjoy!